What about import/export radio stations ? Jan. wrote: What about import/export radio stations ? Hello, congrats for this very good plug-in ! Can you the french Radio Octopus station please ? Raskalito Des Ouabes wrote: Hello, congrats for this very good plug-in ! I'll add this in next version. 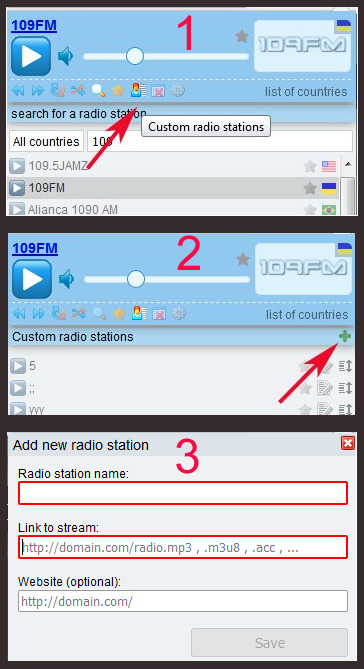 In case anyone is stuck on trying to find a link for a radio stream so they can add it themselves, there's two different methods of finding it. Method 2 is the easier method so I recommend doing it that way. You made a mistake in the link to the stream. 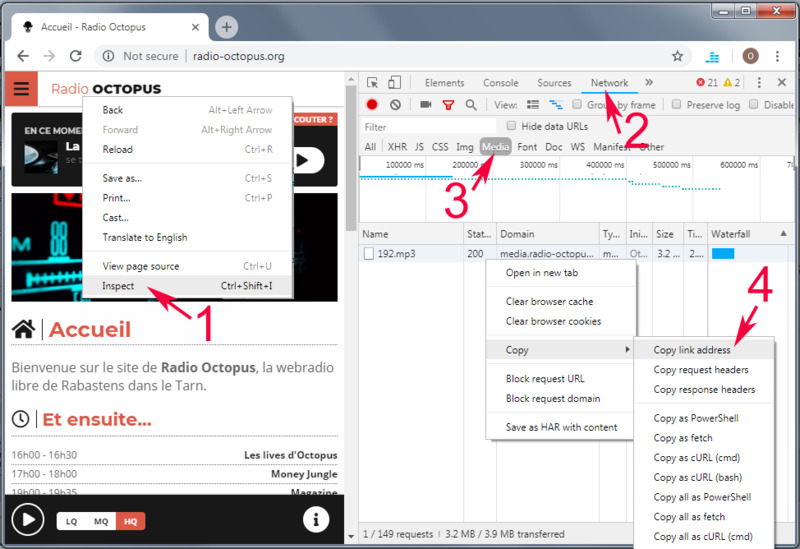 Rocketeer Raccoon wrote: In case anyone is stuck on trying to find a link for a radio stream so they can add it themselves, there's two different methods of finding it. I would like to use this addon, but why does it require permission to access all websites and to collect and store user data? Ed1 wrote: I would like to use this addon, but why does it require permission to access all websites and to collect and store user data? The user is very timid - the user is always afraid of something new. Where will the user data be stored - locally on cookies or centrally on a server? If centrally, how long will it be stored? Will the user data be shared with or sold to any person or entity? Ed1 wrote: Where will the user data be stored - locally on cookies or centrally on a server? If centrally, how long will it be stored? Will the user data be shared with or sold to any person or entity? Saving Setting in Waterfox fails. Error: Type error for parameter permissions (Error processing permissions.0: Value "downloads" must either: be one of ["clipboardRead", "clipboardWrite", "geolocation", "idle", "notifications"], must either [be one of ["<all_urls>"], match the pattern /^(https?|wss?|file|ftp|\*):\/\/(\*|\*\.[^*/]+|[^*/]+)\/. *$/, or match the pattern /^file:\/\/\/. *$/], be one of ["bookmarks"], be one of ["history"], be one of ["activeTab", "tabs"], be one of ["cookies"], be one of ["topSites"], be one of ["webNavigation"], or be one of ["webRequest", "webRequestBlocking"]) for permissions.request.